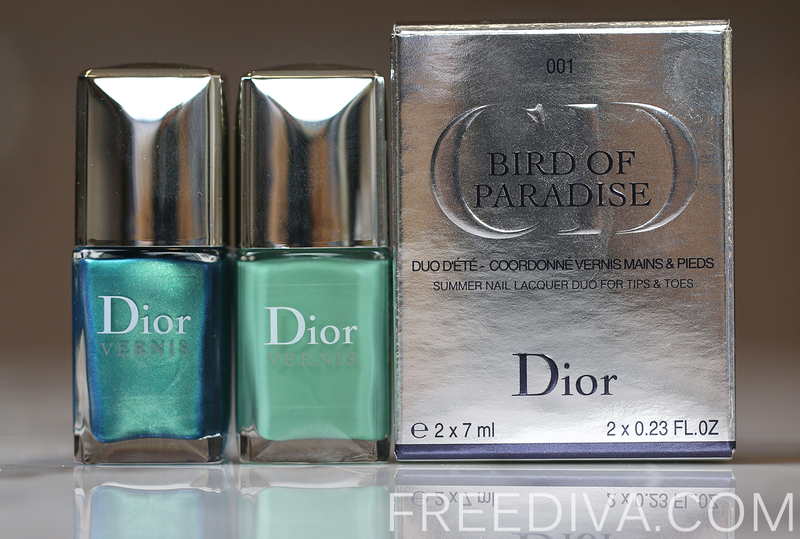 Somehow, I skipped the entire 2013 Dior Bird of Paradise Collection and nothing really landed in my collection, except for the stunningly beautiful Dior Bird of Paradise 01 Samba Summer Nail Lacquer Duo. 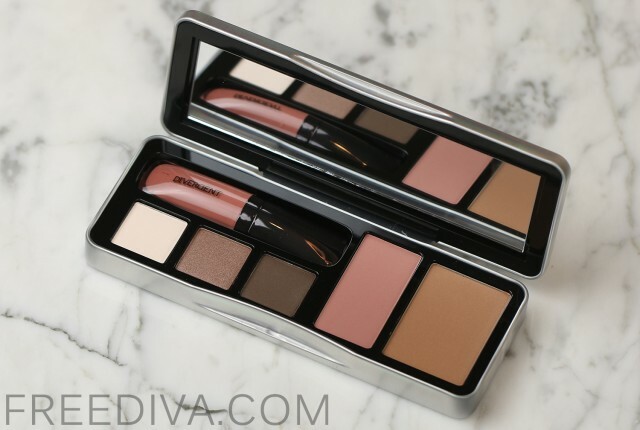 The two nail lacquers come packaged in a silver Dior carton. If you have never seen this set in person, but ordered it online, the real dimensions of these bottles might not register to you. 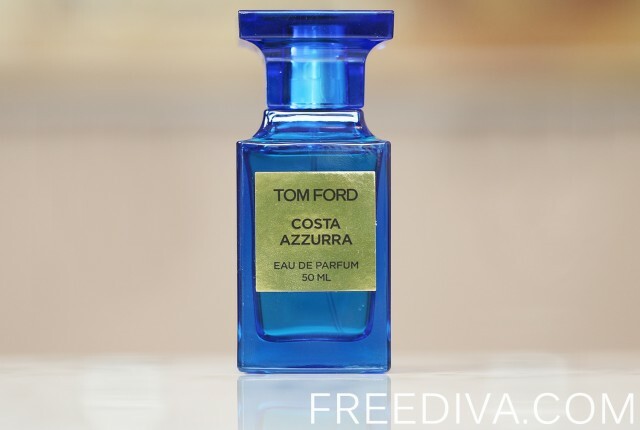 Only when you get them, you might be slightly disappointed to find out that the bottles are small, or maybe not, because the two shades look simply amazing! Yes, be prepared that you will get them in fashion sizes, which are smaller than regular Dior nail lacquer bottles. And if you think about it, maybe it is not such a bad idea after all. Who gets to use their full size nail polishes to the bottom? In my experience, it either dries out, or I get tired of it, or something else appeals to me more. And then it stays unused in my nail draw, or shelf, or box forever. 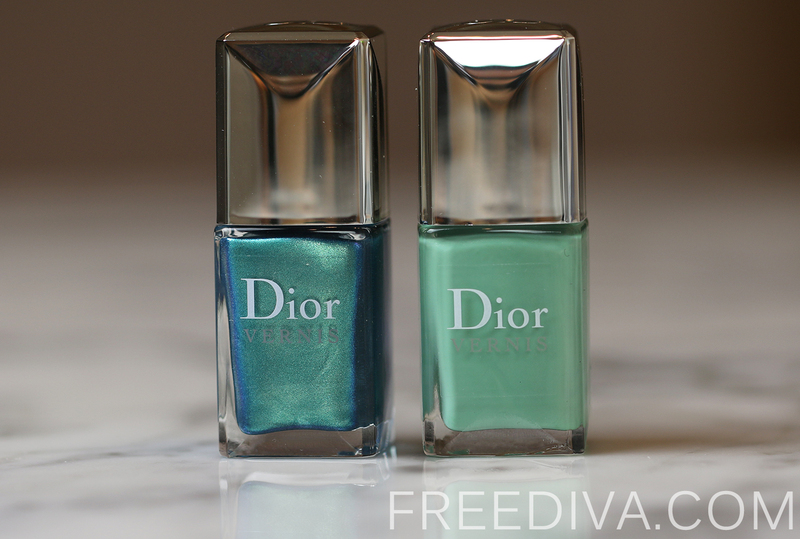 However, fashion size is a good price value that allows you to enjoy two bottles of Dior Vernis Nail Lacquer for a price of one and for just enough time so that you will not regret spending money on a full size bottle that you are tired of, but cannot throw in the garbage, because it was expensive. The Dior Bird of Paradise 01 Samba Summer Nail Lacquer Duo is simply perfect for Summer, beach getaway and tropical vacation! One is a cool pastel shade of mint green. It is a cream nail color and very easy to apply, despite a smaller than usual brush. One coat, in my opinion, does not give you enough coverage. Two coats will ensure a perfectly even and streak free coverage. The second shade is a breathtaking metallic teal that even looks like a duo-chrome nail color and is truly my favorite one in this set. Similar to the cream shade, I think, two coats will give you a rich and even coverage. I also like to the idea of mixing and matching these two colors for an endless number of different variations with your creativity as a limit. I will be actively using the set this Summer and highly recommend it, as a great couture nail set at a good price value.